I have recently been engaged in a project to help an American DJ produce a Chinese Hip Hop program that will be broadcast in the coming weeks in New York and Seattle. I have been selecting songs that I think will well represent the current state of Hip Hop in China. Going through my catalogue made me think about what songs I would qualify as “classics” and why. 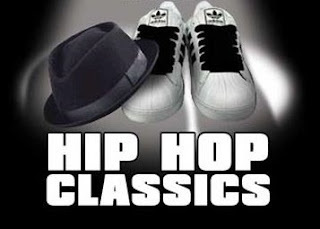 Since most songs were released in the past ten years, I use the word “classic” to mean a very influential song, both aesthetically and for what it contributed to the growth of Hip Hop in China. This week I will share my first five selections. Two of the hardest working MCs in China, Sbazzo and Young Kin helped introduce the mixtape. This was crucial for showing aspiring artists how to put out their work and make a name without institutional or financial support. This song comes from the “King of Beijing Mixtape” (2005). This song is arguably the most recognized Hip Hop song in China. Shanghai crew Hi-Bomb were the first Hip Hop crew to land a record deal with a multinational label (EMI). Released in 2004, their album was the first to bring Hip Hop to a mainstream audience. The title track off of their 2003 album, this song is a CMCB favorite. Chinese MC Brothers (CMCB) is a Beijing rap-rock group that pushed the boundaries of Hip Hop and Rock & Roll with the creation of their unique sound. Exploding with pure creativity and originality, this song is from Guangzhou crew Dumdue’s 2006 album. This self-produced track showcases their lyrical and musical talents. Dumdue is at the fore of the alternative Hip Hop scene in China.